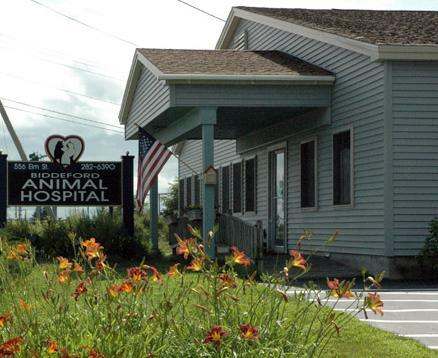 Biddeford Animal Hospital has been providing veterinary care to Southern Maine's families and their pets for more than 30 years. We are so proud to be able to provide our clients and patients with compassionate, high-quality veterinary services and customized treatment plans with an array of options including wellness visits for vaccines, cutting-edge technology such as laser therapy and ultrasound, comprehensive laboratory tests, and the ancient healing techniques of acupuncture. Our staff is comprised of dedicated pet lovers who understand and appreciate the bonds pets have with their families. We are looking forward to meeting you and your pets and having you become part of the Biddeford Animal Hospital Family. Welcome to Biddeford Animal Hospital, we are glad you are here. Feel free to contact our staff with any questions, comments or concerns.